Houston is the fourth-largest city in the United States and largest city in Texas, was founded back in 1836 and now has a population of approximately 5.9 million. Houston originally flourished with its port and railroad industry but quickly grew with the discovery of oil. It's now the home of the Texas Medical Center, NASA's Johnson Space Center and many other big draws. Along with the big industrial base of energy, manufacturing, aeronautics, transportation and health care expansion of commercial retail, shopping centers and food service businesses have increased to sustain this sprawling city. PlazAmericas offers over 100 stores with a diverse variety of retailers, dining options, entertainment, carts and kiosks, not to mention the 83,000 square foot Mercado filled with numerous stores and small businesses providing unique items and services. PlazAmericas is not only a shopping mall, it's a gathering place for the community, offering an open area multi-purpose room on the second floor. You'll find PlazAmericas' events calendar full every weekend including live music and entertainment on Saturdays and Sundays, with scheduled performers including mariachi bands, R&B performers, and more. Stores include Burlington Coat Factory, Jewelry Exchange, Clarewood Mercado, plus numerous restaurants, community room and play area. PlazAmericas also houses a 100,000 square foot Mercado which is a mall in itself with retailers and small businesses providing unique items and services. Download the brochure below for more information. Gulfway Plaza is located on I-45 Gulf Freeway at Delaney Road, just one exit south of of the Gulf Greyhound Dog Track. This center is a 176,102 sf open concept with excellent visibility on I-45 with a newly remodeled 9 space pylon sign with a large LED sign board. Gulfway Plaza tenants include VF Outlet with a wide variety of name brand clothing, Barcenas Mexican Grill, and Factory Brand Shoes. Phase I of recent exterior renovations were completed in 2006 including the VF Outlet fronting I-45. Retail shopping center constructed in 2007 with direct store access from the parking area. This shopping center is in a quickly growing area of Pearland, a southern suburb of Houston. Retail shopping center with direct store entrances from parking. Retail stores with direct access from parking, located near the Galleria. Strip center situated between 2 professional office buildings. Retail stores with direct access from parking, located on the feeder road, going west Hempstead Rd/Hwy from Hwy 290. The strip center is located next to CubeSmart Storage. In busy and growing area of Jersey Village and Cypress, next door to Harris County Smokehouse Restaurant, across the road from Gander Mountain and other restaurants. Currently the retail center end-cap features Henry Hudson's Pub, Pittsburgh Paints and Uptown Salon. 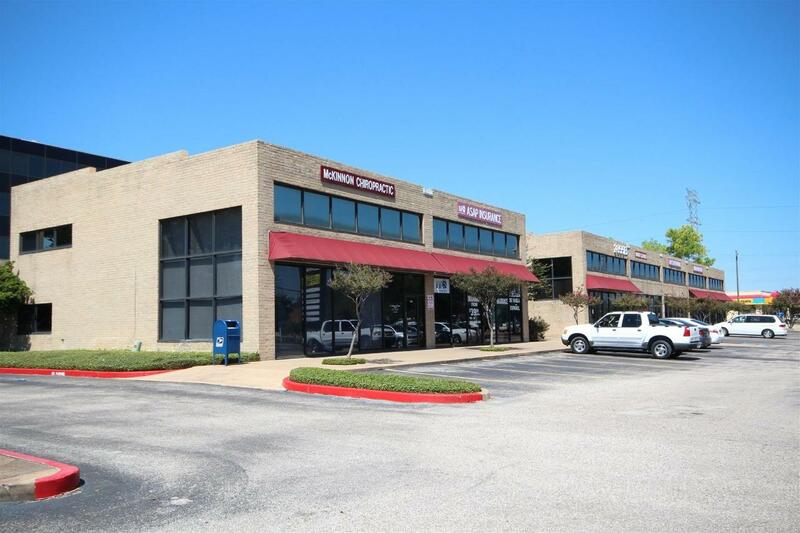 2855 Mangum Road is located in Northwest Houston near Hwy 290 and 610. There are many restaurants, shopping, hotels and other retailers nearby as well as being located near the METRO bus route. Capitol Lofts is located in the heart of downtown Houston on the Corner of Rusk St. and Main. Conveniently located on the Metro Light Rail for ease of transportation to and from other areas of Houston. Nearby amenities include: Bank of America, Alley Theatre, Lancaster Hotel, Shell Plaza, CVS Pharmacy, The Hobby Center for Performing Arts, University of Houston Downtown, and easy access to I-45, I-10 and Memorial Drive. Hogg Palace is located in the Houston Theater District which occupies 17 blocks of downtown Houston and has approx. 52 million visitors per year to event venues. The Theater district also is within walking distance to the Houston Grand Opera, Music Hall and Wortham Theater and is in close vicinity to the Houston Aquarium. Downtown Houston employs approx 144K and the downtown population for a 3 mile radius is 144K. Hogg Palace is listed as a Historic Texas Landmark is high end residential building with a full service restaurant available. Tomball Market Place is a neighborhood strip center located in Tomball, TX just north of Houston off of State Highway 249. The center was recently renovated in 2009 and is next to a Wal-Mart Supercenter. Current tenants include Cato and Spec's Liquor. Market Square is a prime strip center with high traffic count of over 68,000 VPD located in North Houston off FM 1960 W. The center has medical and retail users and current tenants include: Quizno's, Sprint and a hair salon. Located in the city of Kemah, TX just south of Houston, this strip center is within close proximity to the Kemah Boardwalk which has approx. 4 million visitors a year. Near Walgreens and across from Wal-Mart Super Center and tenants include: Cici's Pizza, Sports Clips a few others. Silverlake Shopping Center is located in Pearland, TX across from a 650 unit Class "A" apartment complex in the middle of the "New" Pearland Commercial and Residential expansion. This Fast-Food Restaurant site is located in the North Houston area of Magnolia, near The Woodlands off FM 1488. KFC and Long John Silvers are currently tenants of this property, which is anchored by Home Depot and with frontage and visibility along 1488. Adjacent to the Target anchored retail center, this property is also on the intersection of FM 1488 and FM 2978.